Erin Blegen: My Scrap Cabin: Winner of my RAK from Wednesday's Post~! 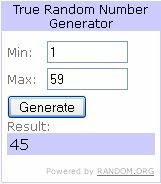 I just wanted to pop in quick as I've drawn the winner of the RAK I was offering along with my Blue Fern Studios post on Wednesday. The names belonging each comment left here on my blog, as well as those comments left on my post over at the Blue Fern Studios blog were all compiled in a list, which was then scrambled and numbered before using random.org to choose the lucky winner~! Congrats, Davi! Please contact me at (erin_divisionair@yahoo.com) within seven days to claim your RAK! Thank-you so much to all who left me some kind words. They are heartfelt and so appreciated~!